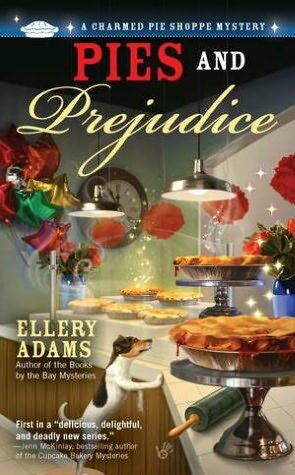 PIES AND PREJUDICE was the kind of story that I wanted to jump inside of. The charming setting, engaging characters and well-crafted mystery made this one of my favorite cozies to date. The book begins with Ella Mae LaFaye returning to her hometown of Havenwood, Georgia, right after leaving her cheating husband back in New York. Instead of letting anger and sadness take over, Ella Mae decides to live her dream by opening a pie shop in downtown Havenwood, with a little financial and a lot of emotional support from her mother and three aunts. There’s something very unique about Ella Mae and her delectable desserts. She not 100% sure, but it appears that somehow she’s able to influence the behavior of others by baking emotions into her pies. This strange ability comes in handy when police find her fingerprints on the murder weapon that killed a local racehorse veterinarian, who happened to be engaged to Ella Mae’s lifelong nemesis, Loralyn Gaynor. Afraid that the bad press of being a person of interest in a murder investigation will ruin her business before it can get off the ground, Ella Mae sets out to find other suspects so investigators will point their fingers elsewhere. This is the first book by Ellery Adams that I’ve read, and I have to say that I’m an instant fan! 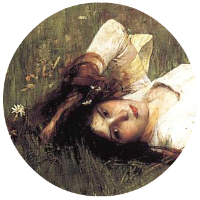 I adored the setting – a small mountain town in northwestern Georgia, but the well-drawn characters were what pulled me into the story. Even the secondary characters popped off the page. The aunts were a hoot, Loralyn was so wicked, and even Ella Mae’s dog “Chewy” was a huge presence. I also enjoyed the paranormal elements in this book. I’m intrigued by Ella Mae’s transference ability, and it looks like she comes from a long line of women blessed with magic. This is a fabulous start to Ms. Adams’ new cozy mystery series, and I’m looking forward to the next one. This entry was posted in Cozy Mystery, Mystery, Paranormal Fiction, Reviews and tagged 5 Stars, Ellery Adams, Magic, Witches. Bookmark the permalink.